Hope you’ve all managed to cool down a bit. Today I’m sharing a card made with the Magical Mermaid stamp set. This is one of those stamp sets that jumped out at me because of the number of different techniques which would go brilliantly with it. For this card I’ve just created a background for her on the new Glossy cardstock. 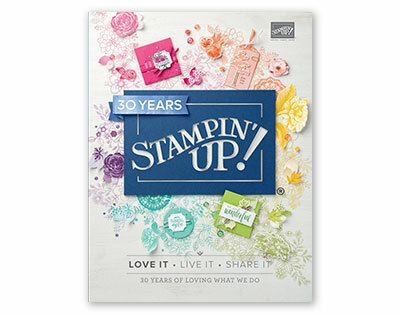 If you’ve been buying Stampin’ Up! for many years you’ll know we used to carry this product and I know many of us demonstrators are thrilled its back in the catalogue. The glossy cardstock makes creating blended ink backgrounds a dream. To make this card I firstly cut the glossy cardstock to 10cm x 8cm. On the bottom third a sponged Peekaboo Peach to create the sand. I then blended Pool Party down from the top so that the middle of the panel only had a very light coverage of ink. As the glossy cardstock makes the ink slip I then left this to dry. Next I took a piece of Pool Party card measuring 14cm x 10cm and placed it in the Seaside Embossing folder and ran it through the bigshot. I then adhered a strip of Bermuda Bay Mini Chevron ribbon across this panel at an angle. Next I created the mermaid by embossing her in gold. I then coloured her in using the aqua painter and Pool Party, Peekaboo Peach and Soft Suede inks. When she was dry I went over her with Wink of Stella to give her a sparkle. To finish the card I picked up the now dry glossy cardstock ( if its not quite dry just run the heat tool over it gently) and stamped the shells at the bottom in Peekaboo Peach and the reeds in Tranquil Tide. For the greeting I embossed in gold again to match the mermaid. I attached the glossy cardstock to my card base and then added the Mermaid with Stampin’ Dimensional’s. To finish the card off I added some iridescent sequins in Pool Party with the Fine-Tip glue. I really love how this card turned out, perfect for any magical little girl. 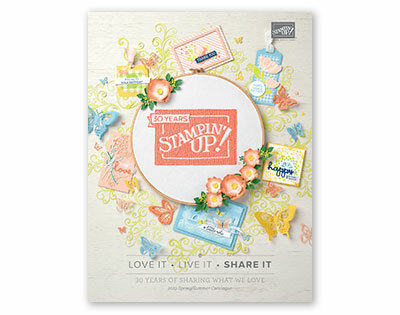 Today I’m featuring a product which I always seem to pass over in the catalogue, the embossing folders. However in this new catalogue there are quite a few which are on my must have list and even a couple of the older ones which I can see working really well with new stamp sets. The “Oh My Stars” embossing folder was on our demonstrator pre-order list and is one which I think makes a lovely background all on its own and it helped inspire this bold and bright birthday card. The colour combination of Bermuda Bay, Melon Mambo and Lemon Lime Twist is perfect for this bright bold birthday card. I wanted to show also the Happy Birthday Gorgeous doesn’t just have to male floral cards and if you changed the colour scheme its perfect for male cards too. I really didn’t want to make a floral card so it took me a while to come up with an idea and it was Eastern Beauty to the rescue. I just started stamping and came up with this pattern. I used the new Ticket Tear Boarder punch to an interesting edge to the stamped panel and I used the Old Olive ombre paper from the Colour Theory DSP stack as a background on the Basic Black card base. The greeting comes from the Rose Wonder stamp set and was cut out with the Rose Garden Framelits.